Folk-artist Belia, creates an ethereal soundscape using a loop pedal to harmonize violin, guitar and her expansive vocal range. Her music is driven by catchy melodies, thoughtfully arranged percussion and lyric poetry. Belia launched her career in 2016 with the release of a 9-track debut album titled Perennial. Inspired by her training in the classical genre and music therapy, her unique sound is an improvisation of rhythm, melody and harmony with hints of Vashti Bunyan and Andrew Bird. Belia recognizes music as a vital contributor to change and healing in a broken world. 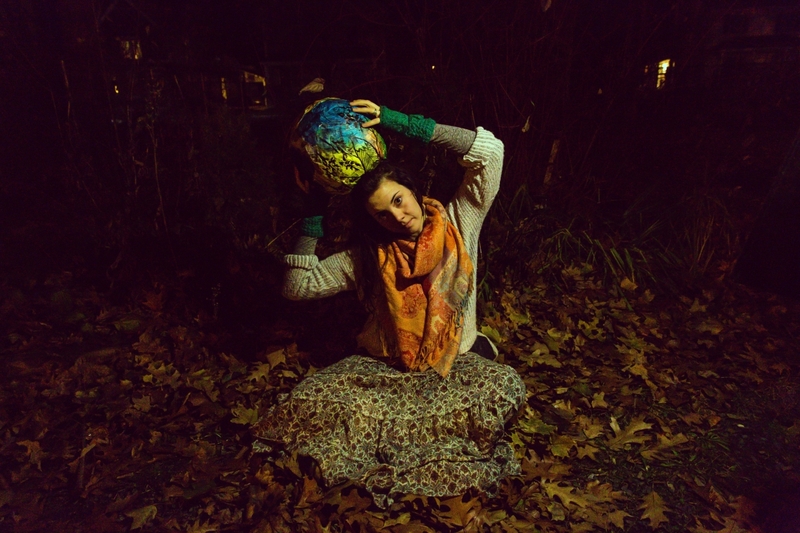 With themes of the dreamscape, motherhood and Mother Earth, Belia’s lyrics dare the listener to explore imagination as reality. In 2017 Belia’s track Wildflower Lore made ‘Ride the Tempo’s Weekly Top 10’ and was featured on CBC’s East Coast music hour. She was commissioned to compose and record a piece for the collection Arctic World, created by Guelph artist, David Caesar. Belia was featured as a violinist on four tracks from Mauno’s album Tuning and nominated for The Coast’s Best of Awards. After three extensive cross-province tours, radio play on CHSR campus radio and performances at festivals including Flourish Festival, Living Roots, Fest Forward and Follyfest the project has gained momentum. In early 2018, Belia completed two Artist Residencies and was chosen for NSCC’s Artist Development Program. Belia’s evolving sound now showcases jazz influence and a love for experimental improvisation. Her second album is to be released in early 2019.